Chillicothe is conveniently located at the crossroads of U.S. highways 65 and 36, less than 40 minutes from Interstate 35 and an hour from Interstates 70, 29 and 435. It is only an hour's drive to St. Joseph and 1.5 hours to downtown Kansas City. We are easily accessible to Kansas City International Airport. Chillicothe was named for an old nearby Shawnee Indian town that signifies "the big town where we live" or "our big home." Chillicothe was first incorporated in 1851. With the coming of the Hannibal and St. Joseph Railroad, its trade and prospects greatly increased. Much later, Chillicothe became known as the first city to make and sell sliced bread. In 1928 the new bread-slicing machine quickly became the "greatest thing since sliced bread." A committee has recently formed to promote Chillicothe as the "Home of Sliced Bread." 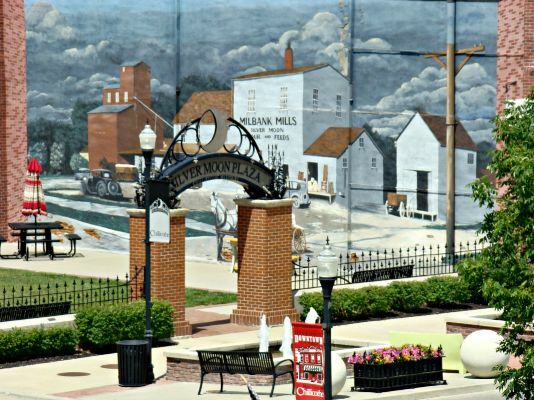 Chillicothe's population is approximately 9,000; however, as the business and energy hub of Northern Missouri, the city serves a trade area population of over 65,000. Chillicothe residents regard education as a top priority. The Chillicothe R-II School District, recognized as a leader in innovative and progressive programs, has earned "A+ School" status by the State of Missouri. Qualified graduates of the Chillicothe School District receive free tuition to any community college or vocational school in the state. The Grand River Technical School is one of the top vocational facilities in the state. Health care and hospitals are top-notch. A wide range of specialists and sub-specialists are available at Chillicothe's Hedrick Medical Center, which serves as the regional hospital for a 3-county area, managed by St. Lukes Health System. In addition, an active Home Health Care department enhances the hospital's outreach. There's lots to do that's close to Chillicothe. A visit to Jamesport, only 20 minutes away, is a "step back in time." Established in 1830, Jamesport and other neighboring towns offer a glimpse into 19th century America. It is now home to the largest Amish settlement in Missouri. Visitors can shop in dozens of antique, craft and specialty shops. Kansas City, only 78 miles away, offers year-round attractions. You can enjoy Kansas City Chiefs football, Royals baseball, hockey, soccer and tennis. There's also the annual American Royal Livestock, Horse Show and Rodeo, the Country Club Plaza, Crown Center, Westport, River Market, the Nelson-Atkins Museum of Art, Harry S. Truman Library, the Kansas City Zoo, Worlds of Fun, riverboat casinos, and more. Chillicothe is a great place to do business. One reason is the recently developed full-service Chillicothe Area Industrial Park (CAIP). Utilities, including water, sewer, natural gas and electricity, are installed in the park and are designed to provide adequate capacity now and in the future. Plus, industrial quality roads and railroad access are available. Recreational opportunities abound in Chillicothe, recognized as the family recreational headquarters of Northern Missouri. It is home to 6 city parks totaling 90 acres which include 5 baseball diamonds, including an NCAA regulation baseball facility, 6 lighted tennis courts and 4 lighted sand volleyball courts. For golfing fans, the beautiful new Green Hills Golf Course offers 18 championship holes to the public. An additional 9 holes are available at the Chillicothe Country Club. The Club also offers tennis, swimming pool and full-service dining facilities. 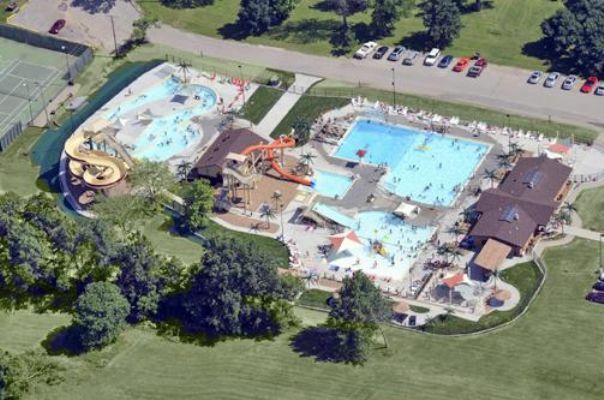 For those into water recreation, the Aquatic Center offers something for everyone. The Center has a zero-depth entrance, toddlers' wading pool, diving area and two water slides. For complete family health, fitness and fun, The Grand River Area Family YMCA has it all. Opened in 1992, it has become the fourth largest YMCA in Missouri. The YMCA facilities include an indoor swimming pool, whirlpool, gymnasium, racquetball courts, athletic field, indoor track and shuffleboard courts. Nearby recreational facilities include Poosey State Forest (13 miles), Pershing State Park (18 miles), and Crowder State Park (27 miles). Visitors can boat, fish, swim and relax. Other natural areas to explore include Fountain Grove and Swan Lake Migratory - waterfowl area reserves southeast of Chillicothe. Swan Lake, a federal-owned reserve of 11,000 acres for wild geese and ducks, is one of the largest in the world.